The Cosworth ‘C16S’ (32 Channel) beacon system has 16 codes for end of lap timing and 16 codes for split timing. 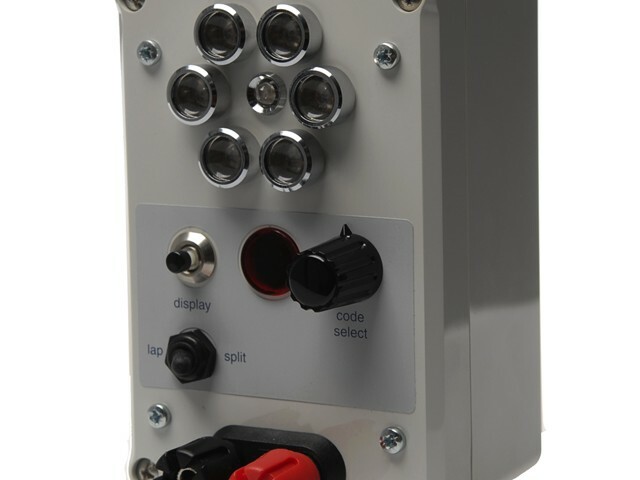 C16S beacon transmitters can be switched to operate in either lap or split mode, with the C16S beacon receiver recognising C16S transmitters working in both modes. A C16S beacon transmitter operating in lap mode is used as an end-of-lap beacon with the C16S receiver by default built to recognise a Channel 0 end-of-lap beacon. A number of C16S beacon transmitters operating in split mode can be placed around the track. When the C16S receiver recognises any valid C16S beacon transmitter code, an output is sent to the logger and ECU.